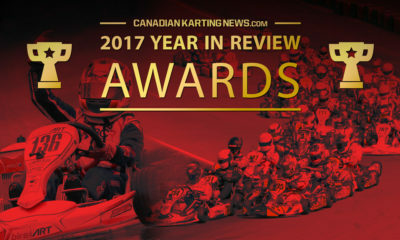 CKN 2017 Year in Review Awards – Part 2 – CKN | CanadianKartingNews.com | Because Karting is a way of Life! 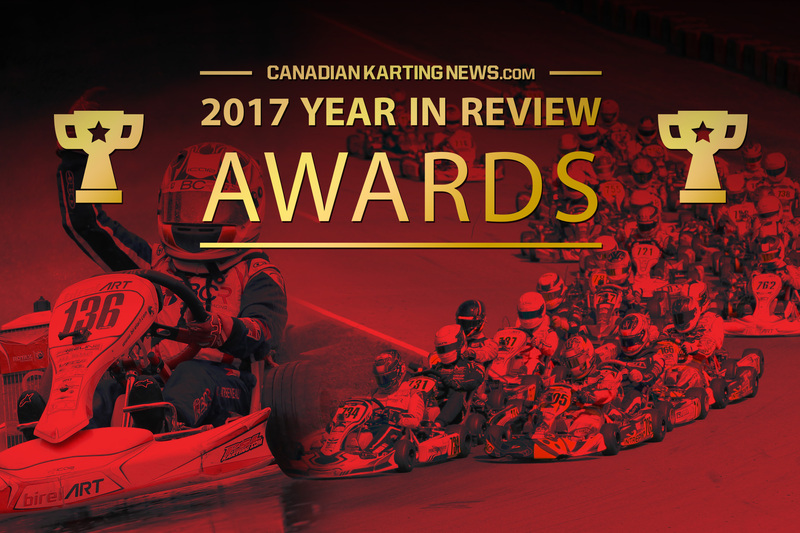 Six Canadian race seasons are in the books for Canadian Karting News and we are excited to once again bring you our Year in Review Awards where we highlight many of the drivers and moments who have stood out to us. It’s not hard selecting the winners for each of our categories, so we hope you understand that we do these awards based on our trackside experiences and with only good intentions. We enjoy the opportunity to bring the CKN Nation the news and information about the sport we love so much and take passion in doing it. So we hope you enjoy our awards and are already looking forward to 2018 and seeing what all of our Canadian racers have in store. Like our Young Driver of the Year Award, there was plenty of potential picks for our Up and Coming Driver category. The Briggs Junior Lite class especially proved insightful about the future stars of our sport and for a category that is only two years old, we’re ecstatic about the growth there. Taking home the honour of our up and coming driver is Jake Cowden. When the year started, he was a new face to CKN, but by the time the Canadian Championships rolled around, he was on our radar as a serious threat to take home the National title. 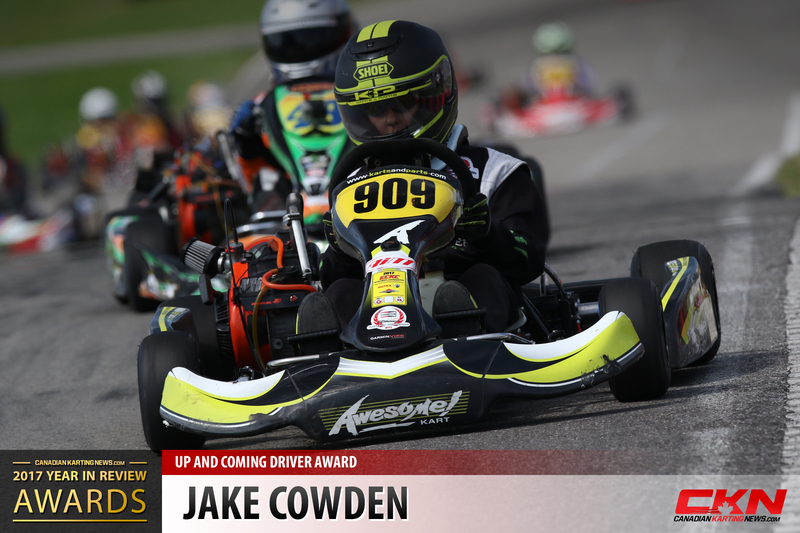 Cowden earned himself a couple of wins at ECKC and CRFKC races and really came into his element in 2017. He even ranked the top-10 in the Briggs Weekly Series! At this point, we are not sure if Cowden will stay in Junior Lite for another season, or move up to the big leagues in Briggs Junior, but regardless he has a bright karting future to look forward to. 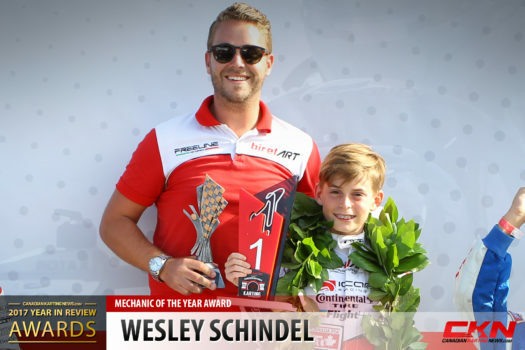 There are so many mechanics each year that put in the hard-working efforts that could earn them our award as Mechanic of the Year, but we can only pick one winner, and CKN’s Neelan Nadesan has determined that Wesley Schindel has finally taken the honour. Schindel turned the wrenches and provided guidance to Mini-Max racer Justin Arseneau. 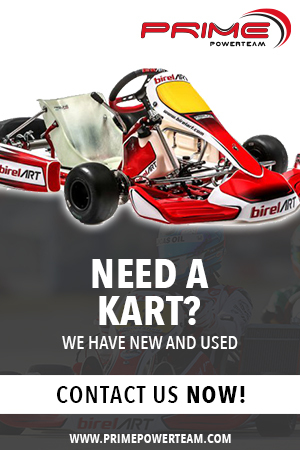 It was a stellar year that saw them cruise to the Eastern Canadian Karting Championship title, just as easily win the Canadian National Championship, win a Florida Winter Tour race and qualify in the top-five at the Rotax Max Challange Grand Finals. The two were also in their first year of working together and just today announced that Arseneau will join American outfit Speed Concepts Racing as they move up to the Junior ranks. So many new helmets caught our attention in 2017 and once again we have been able to nominate five different helmet painters. 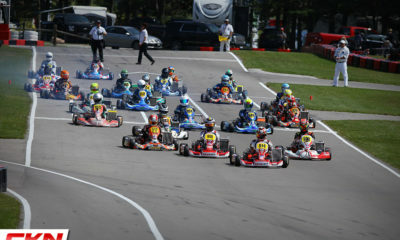 To each their own, these helmets stand out from the crowd, especially on the track in a pack of karts. 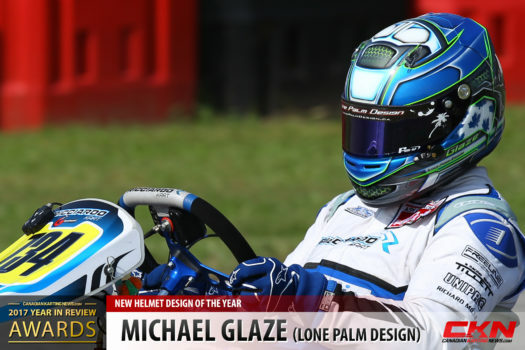 One helmet in particular really caught our attention and that was the new lid that Michael Glaze arrived at the Canadian Championships with. Freshly painted by Taylor Gates at Lone Palm Design, the helmet had electricity in its neons and contrast in the solid blues, perfectly suiting the individual that is Michael Glaze. We know it was a push for Gates to finish up a number of helmets in time for Canada’s crown jewel event, but his patience for quality approach helped earn him our award this year. Check back soon for our next installment of our 2017 Year in Review Awards as we acknowledge the best drivers from our three regions of racing, Eastern Canada, Western Canada and Atlantic Canada.